Unlike many states, Florida does not allow spouses to file for a legal separation. However, there are ways to achieve a similar result by utilizing other legal agreements. At the family law practice of Sandra Bonfiglio, P.A., we offer creative solutions to help clients achieve their goals, including unique arrangements for divorce and separation. Contact our experienced Fort Lauderdale legal separation attorneys today. Health Insurance Concerns – In many marriages, one spouse provides health insurance coverage for the other spouse through his or her employment. Religions Concerns – Couples with religious objections to divorce may circumvent these concerns by getting a legal separation instead. Social Security & Pension Benefits – Married couples may delay formal divorce until they have been married long enough to qualify for certain Social Security and pension benefits. Trial Separation – Some couples hope to eventually reconcile their differences, but recognize that they currently need to spend time apart. Separation Agreements – In some situations, a separation agreement in Florida can provide the same result as a legal separation in other states. The only difference is that a court does not approve the agreement or resolve disputes. You and your spouse must enter into the legally binding contract on your own accord and follow its terms. Petition for Support – A “Petition for Support Disconnected with Dissolution of Marriage” can enable one spouse to receive child support and alimony (if applicable) from a spouse that has moved out of the marital residence without actually filing for divorce. The petition specifies that the request is not related to a Petition for Dissolution of Marriage. Postnuptial Agreements – A postnuptial agreement can be entered into that specifies how assets, debts, alimony and other issues will be handled in the event of a divorce in the future. Whatever the reasons for your separation, having a clear set of agreed terms is an important tactic for reducing the possibility of financial and emotional conflicts later on. Reaching common ground on such terms, however, can be difficult when a couple is having marital issues. At Sandra Bonfiglio, P.A., we provide clear guidance through the separation process, while ensuring that our clients’ rights and interests are protected. You have many options when it comes to handling marital issues. 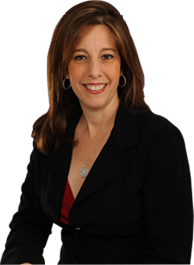 To discuss how a separation agreement, petition for support, or postnuptial agreement may work in your unique situation, please contact Fort Lauderdale legal separation attorney, Sandra Bonfiglio, P.A. to schedule a consultation. We serve clients in Ft. Lauderdale, Boca Raton and southeast Florida.